Vsonic GR07 Earbuds are feature-packed, reliable and made of the highest quality components for superior sonic characteristics, long-term use and incredible comfort. The sound produced by these high-end IEMs is tight, clear and articulate. A gold-plated 3.5 mm connector, low-resistance silver wire with 160 strand in the cable and 100 delicately stacked layers bio-cellulose membrane driver diaphragm are featured. 15 pairs of comfortable eartips and patended system of nozzle by VSonic technical team can be angled left, right or up and down, to make for accurate penetrating in-ear positioning and provide the best quality of sound. Among various types of replacement tip one type is compressible foam filler (more similar to earplug or studio foam material) shroud inside a normal tip that is rounded. The kit’s options make for adaptable comfort and the security you need from an in ear monitor as a musician in a performance setting. This also provides a solution for those who need secure fit from their headphones while jogging, exercising and/or working outside. Instructions: Using your finger’s edge carefully peel them away from the nozzle to remove; simply push on to apply, securing one side at a time. 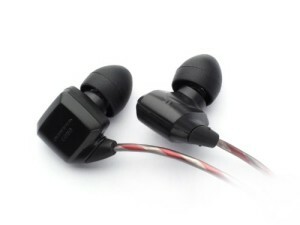 The GR07 earbuds provide outside noise isolation and stay secure in the ear. Note: If necessary, they are small enough to wear under additional ear coverings such as Isolation Earcups. SPL or Decibel level (dB) could become an issue, so use caution!